Shade grown Matcha…… rich in antioxidants and amino acids, creamy, delicious, so relaxing! 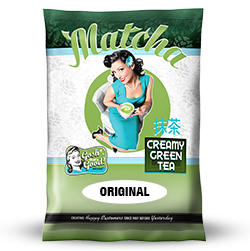 Our Green Tea Matcha is a premium green tea beverage created in the Pacific Northwest. An Ancient Asian cultural favorite, Matcha is a shade grown tea rich in antioxidants and amino acids such as Theanine, which has been shown in clinical studies to reduce mental stress. Our American version is creamy and delicious when served as a hot, iced, blended or smoothie beverage. So take a moment to relax today with Gosh That’s Good™ Matcha! Our Green Tea Matcha is a versatile complete beverage mix that can be used to make a Hot Matcha, cold as a Iced Matcha, or a blended Matcha Smoothie. Best when mixed with steamed milk, but also still rich and creamy when just mixed with water. Or be creative and add a shot of espresso for a Dirty Matcha. Use your imagination to offer your own signature beverages unique to your coffee house. This is a simple complete pre-mix beverage. Combine with other flavorings to create different beverages. 1 scoop = 30 cc or 2 tbsp. Add 2 scoops of Green Tea Matcha™ into 12 oz. cup. Add 2 scoops of Green Tea Matcha™ into a mixing colander. Add 2 oz. of hot water or steamed milk or milk alternative. Add 3 scoops of Green Tea Matcha™ into blender. For a really smooth beverage add 2 scoops of Gosh That's Good!™ Amaze-O-Mix Blender Base into blender. 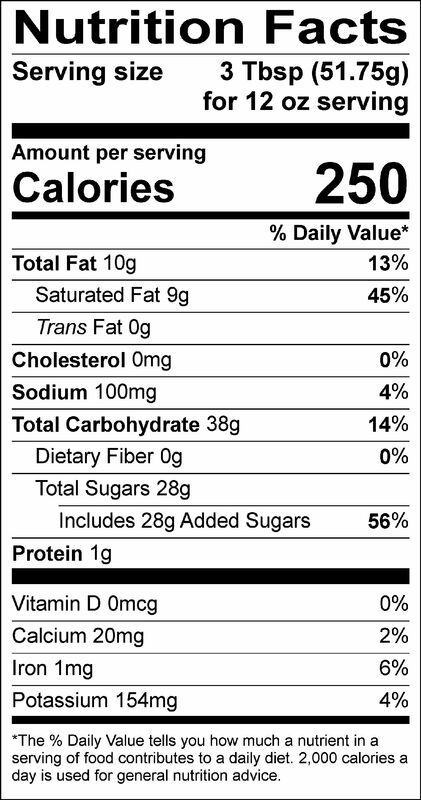 Sugar, non-dairy creamer [coconut oil, maltodextrin, sodium caseinate (a milk derivative), mono-and diglycerides, dipotassium phosphate, silicon dioxide, soy lecithin], green tea powder, natural and artificial flavors, tri calcium phosphate (anti-caking agent), salt, cellulose gum, FD&C yellow #6, yellow #5 & blue #1.